This is a free community event. However, if you would like to attend the Artist Talk with Artist Collective Gran Fury, there is a small cost ($5-$10). Seating for Gran Fury is limited and we recommend purchasing tickets in advance. Lelavision is a Seattle-based professional touring company that has coined and perfected its own genre of performance, Physical Music. They present original performance works that cross all boundaries of appeal: race, education, language, religion, economic background, gender, and age. Charhys Bailey is a Black, queer and gender non-conforming writer, filmmaker, and teaching artist from Tacoma, Washington. They have worked with culturally and economically marginalized youth from diverse backgrounds in arts education, youth development, violence prevention, youth mental health, grassroots community organizing and social service advocacy for thirteen years. A Native of Seattle Washington, with a professional performing career that spans over 26 years, Shaunyce holds a B.A degree in Theatre Arts from Southern University. She currently can be seen performing in the mystery shows aboard The Royal Argosy Boat cruises in Seattle or singing Jazz and Soul at various clubs, Lounges and Events around Washington State! This beautiful dance performance choreographed by Kate Monthy, with music by Portland Cello Project, was accepted into Struggle + Strength, a community exhibition at TAM that asked local artists to create art in response to Art AIDS America. Join emcee Empress Mulan Rouge of the Imperial Sovereign Court of Tacoma as Six teams compete for a $250 cash prize. Each team has been provided with 1,000 condoms and asked to create one look each of anything from gowns to casual wear. See team list below. The Condom Couture Fashion Show is presented in partnership with PCAF. Get your tickets early for this rare opportunity to discuss and hear from the artist collective Gran Fury. Hear from the source as they share their experiences as artist-activists during the height of the AIDS epidemic. This is a ticketed event ($10 general admission; $5 member / student) with limited seating. Purchase tickets here. In 2013 and 2015 students from Cornish College of the Arts participated in a condom re-packaging project. 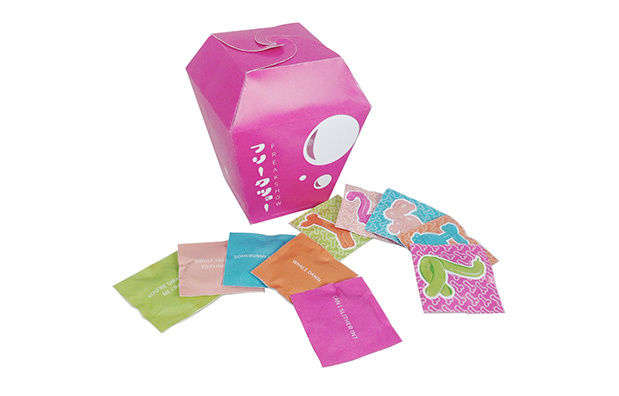 Students were encouraged to take risks with their design, understanding that responsibility didn’t have to mean a boring condom package. Many of these unique works will be on display during the event. Through education, advocacy and celebration, the Rainbow Center expands resources and safe space for the Lesbian, Gay, Bisexual, Transgender, Queer, and Allied Community. Custom design that utilizes the condoms while supplying condoms to be utilized. Mpowerment Tacoma is a social group for gay and bisexual ages 25 and up. “Armor” look – influenced by militant/spartan era, androgynous look. We are a members of a Tacoma-based community theme camp that partakes in a yearly pilgrimage to the desert each year for the Burning Man Festival located in the temporary city of Black Rock. Black & White with one item Red, our couture evokes the theatrics of a circus while unifying our theme through condoms and thread. 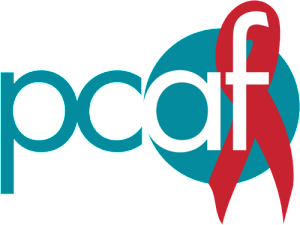 Through education and service, PCAF prevents HIV infection, assists persons affected by HIV/AIDS, addresses related health problems, and combats associated stigma and discrimination. A sleek, iridescent shimmer of a design, modeled after a peacock’s shape and color palette, our design will feature blue and green dyed condoms along with gold and glitter accents. The dress is a high-low design with a floor-length train, mimicking the proud beauty of a male peacock. It suggests that coverage can be both seductive and tantalizing while protective in nature. A peacock preens to attract a potential mate, and our model plans to strut the runway attracting interest and applause. James is submitting work as an individual designer. It’s a Wrap! Art AIDS America Free Closing Party is supported by MultiCare Community Partnership Fund and Macy’s.